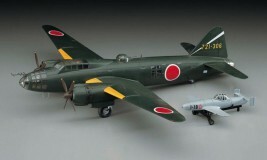 The Mitsubishi G4M2E was the main twin-engine, land-based bomber used by the Imperial Japanese Navy Air Service in World War II. The Allies gave the G4M1 the reporting name Betty. Japanese Navy pilots called it "hamaki" ("cigar", literally "leaf roll"), due to its cylindrical shape. 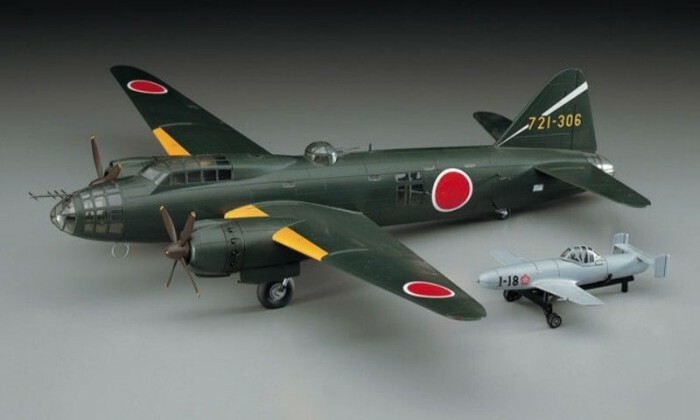 The G4M1 had very good performance, especially range, which was achieved by its structural lightness and an almost total lack of protection for its crew, with no armor plating or self-sealing fuel tanks. These omissions proved to be its weakness when confronted with American fighter aircraft during the Pacific War.